Please choose the product you need support with. To raise a support ticket for your Signatures for Office 365 subscription login to the Exclaimer Cloud portal. Detailed information about your subscription will be collected when you submit the support form. If you have any difficulties registering or logging in, visit our Knowledge Base. Are you a supported customer or in a trial? Please provide some more information about you so we can contact you. Please provide some details about the product you are using. Please describe your problem in as much detail as possible. Please upload your license file. Total files uploaded should not exceed 10mb. 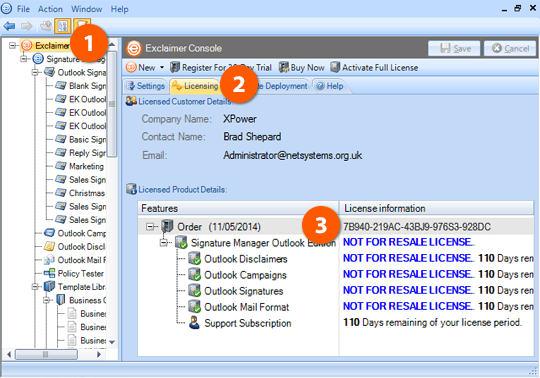 To view your license key/s, open your product and click the Exclaimer section from the drop-down menu on the left. Open the ‘Licensing’ tab to see your current license key/s. To extract your signature, open the product and navigate to the signature in question. 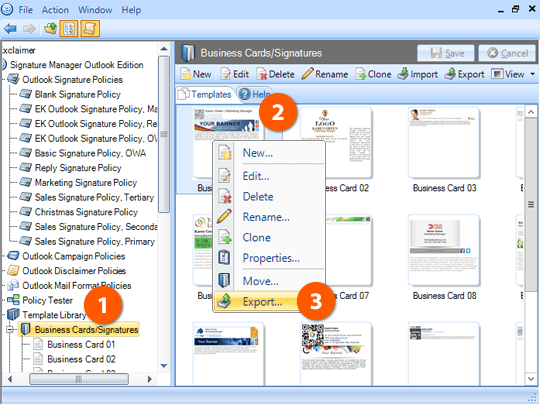 Right-click the signature and select 'Export' which will generate the *.zip file you need to upload. The total files you have uploaded exceed 10mb. 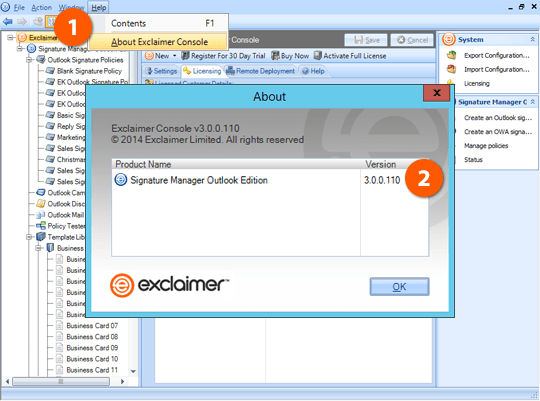 Please remove some of the files, or get in touch with support@exclaimer.com if you need to upload a larger file.